The Winter Garden is almost here! 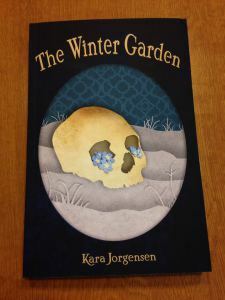 Kara Jorgensen’s new book The Winter Garden is available for pre-order! 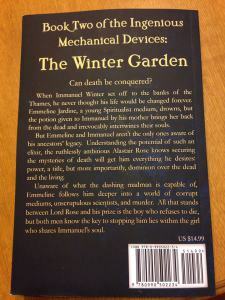 Get your copy here, or read Book 1 of The Ingenious Mechanical Devices, The Earl of Brass, to get ready. Congrats, Kara! Please forgive the narrow camera angle. I forgot that I should have turned my iphone sideways. Lesson learned. 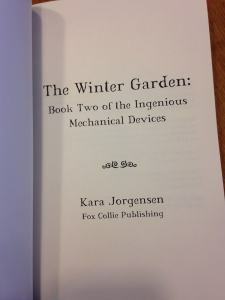 Anyway, my proof copy of The Winter Garden came Saturday! 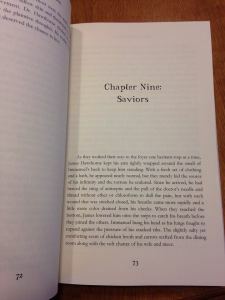 It looks fantastic, and all that’s left is for me to proof-read it. It feels fantastic to be nearly done, especially now that I seem to be getting more work at my other job and in my classes. I will be posting more later in the week about The Winter Garden and about some of the characters within it. If you’re interested in a copy, you can pre-order it from Amazon UK or Amazon US (check out the “Buy Links” page) for 99 cents. 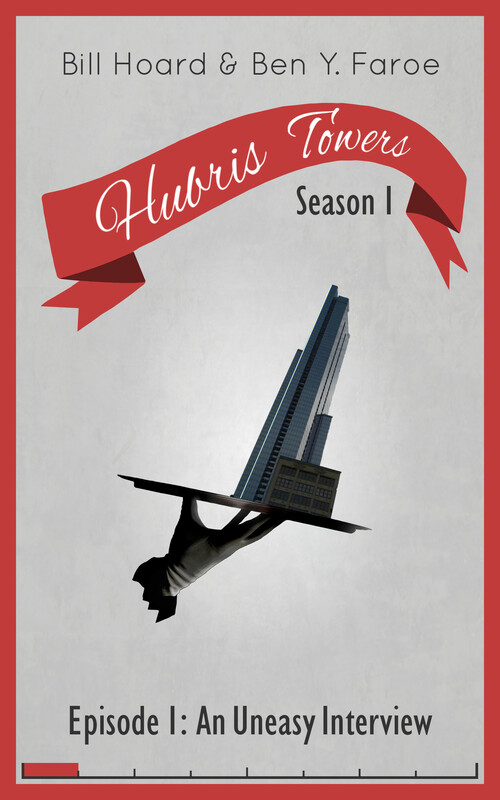 The ebook and paperback will be out March 31st.